Contact Emily Yu at info@buildhealthchallenge.org for more information about becoming a partner in the BUILD Health Challenge. Health isn’t made in a doctor’s office. It’s the result of the air you breathe, the food you eat, and the places you live, work, and play. That’s why we came together in 2014 to launch a collaborative, cross-sector approach to improving health — by improving the social and environmental conditions we less readily associate with health. That means improving substandard housing stock, eliminating food deserts, creating opportunities for exercise and active living, and ending the cycle of domestic and gang violence, among others. We want to bring this model — which is a flexible framework for action, not a rigid or prescriptive program — to more communities across the nation. Now in its second round, BUILD is one of the nation’s most promising efforts to improve health in vulnerable neighborhoods. By aligning funding, capacity building, and multi-sector partnerships—between community organizations, hospital systems, and local health departments—participating communities target upstream factors that impact health, increase health equity, and lower health care costs. BUILD was launched by The Advisory Board Company, Colorado Health Foundation, the de Beaumont Foundation, The Kresge Foundation, and the Robert Wood Johnson Foundation. Since then, we have been joined by the Blue Cross and Blue Shield of North Carolina Foundation, Episcopal Health Foundation, Interact for Health, Mid-Iowa Health Foundation, New Jersey Health Initiatives, Telligen Community Initiative, and the W.K. Kellogg Foundation. What are the advantages to partnering with the BUILD Health Challenge? Get better and more sustainable results from philanthropic initiatives in community health: BUILD’s evaluation and monitoring arm is carefully compiling lessons learned and case studies to create an evidence base for scaling up our impact. Strategic partnerships with leading nonprofits and think tanks allow communities to benefit from expert technical assistance and gives funders the opportunity to learn from sites nationwide. 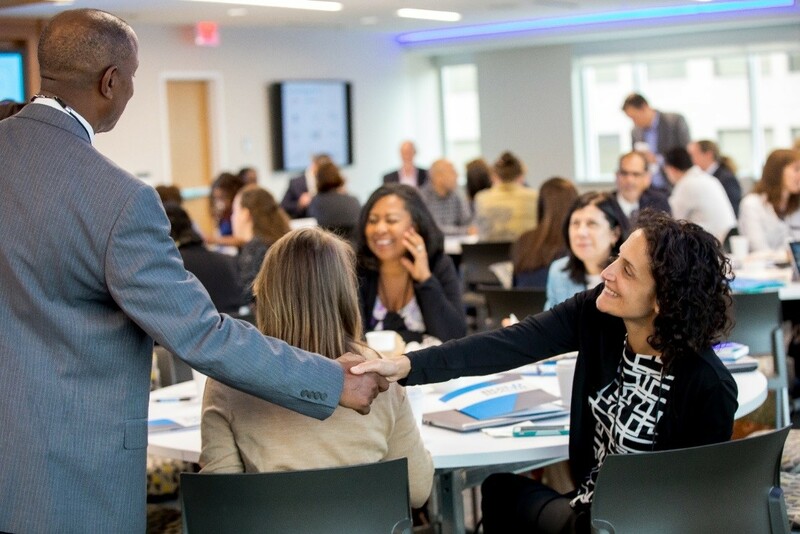 Foster a learning community of partnerships with an aligned mission but different tactics and areas of focus: BUILD awardees participate in a dynamic national cohort and learning community with opportunities for meaningful peer-to-peer exchange. Convenings and internal communications platforms allow sites to share their experiences with each other and gain valuable insights across disciplines and regions. Leverage your own organization’s resources: Each participating funder brings different strengths and capacities to the table, which allows the collaborative as a whole to more efficiently allocate resources and eliminate redundancies. What do people have to say about BUILD?